The New Orleans Saints are the biggest favorites in Week 1. According to the consensus odds, the defending NFC South champions are favored by 9.5 points against the Tampa Bay Buccaneers. The Saints won 11 games last season and finished second in the NFL in total offense (391.2 yards/game) and fourth in scoring (28.0 points/game). New Orleans’ offense should have success against a Tampa Bay defense that finished last in Football Outsiders’ defensive DVOA in 2017. The Bucs will also be without starting quarterback Jameis Winston, who is suspended for the first three games of the season. The clear mismatch has public bettors pounding New Orleans. More than 70% of spread tickets are on the Saints. Since 2003, only 14% of NFL games have seen such lopsided betting action. What’s that old saying? If it seems too good to be true, it probably is. Last year, the Pittsburgh Steelers (-10) were the largest favorites in Week 1 but managed to beat the Cleveland Browns by only three points. A year earlier, the Seattle Seahawks closed as 10.5-point favorites (biggest in Week 1) and squeaked out a 12-10 victory over the Miami Dolphins. In 2015 the New England Patriots (-7.5) let down bettors as the largest opening-game favorite, failing to cover against the Steelers. The biggest Week 1 favorite has consistently burned bettors. Using data from Bet Labs and the Gold Sheet, I looked at how the largest favorite of the opening weekend has performed since 1993. In the last 25 years, the biggest Week 1 favorite is 12-22 (35%) ATS. Some years, there were multiple teams that closed with the same high spread. It is a small sample, but it speaks to an underlying truth: we don’t know as much as we think we do in Week 1. Much of our expectations for the upcoming season are based on what has already happened. We know how players and teams have performed in the past, but that isn’t always indicative of future success. The biggest favorites aren’t the only teams to struggle. All favorites of more than a touchdown in Week 1 have gone 19-36 (35%) ATS. In addition to the Saints, the Baltimore Ravens (-7.5) and Green Bay Packers (-7.5) are sizable favorites on Sunday. Each team is receiving a majority of spread tickets as well. 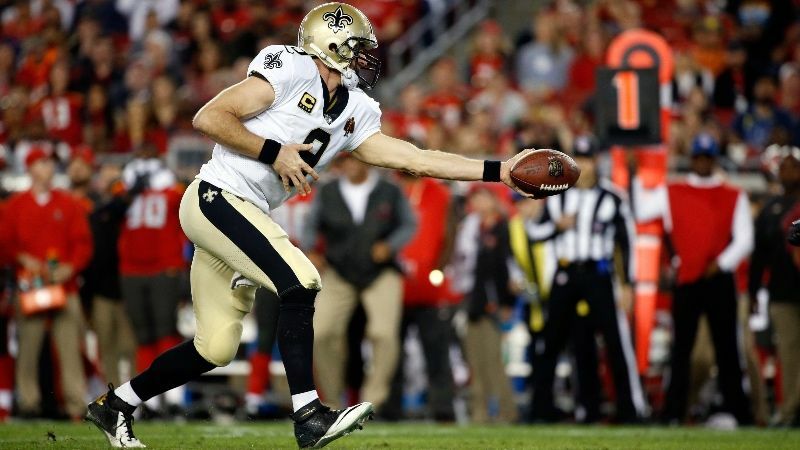 Casual bettors expect New Orleans to cover with an easy matchup against Tampa. The public loves Baltimore against a Nathan Peterman-led Buffalo squad, and Green Bay is getting love because some guy named Aaron Rodgers is playing quarterback. The Saints, Ravens and Packers all might win, but if history is any indication, they could struggle to cover the spread to the chagrin of square bettors.